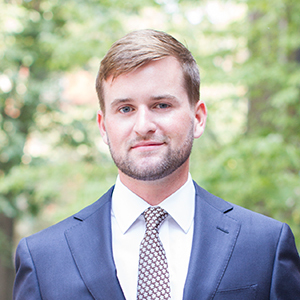 Since starting his career in 2013, Joe Ryan has established himself as one of the top up-and-coming agents in Brooklyn. Born and raised in Park Slope, he has a lifetime of exposure to Brooklyn’s neighborhoods, trends and trajectories and relishes any opportunity to share his insights with his clients. With a proven track record ranging from townhouse sales and co-op purchases to high end rentals and first time home buyers, Joe is uniquely positioned and experienced to assist his clients in any of their Brooklyn real estate needs. Working alongside veteran agents Libby Ryan and Maria Ryan at The Ryan+Ryan Team has provided Joe with the foundation upon which he has built his career. As a highly efficient and effective team of 3 agents and a team manager, The Ryan+Ryan Team have closed over $600,000,000 in sales and helped hundreds of clients find their place in the world. With over 30 years of combined experienced, there is no problem that they have not experienced and solved at least twice, making us the best choice when it comes time to buy or sell in Brooklyn. Joe lives in Clinton Hill where he has owned a co-op apartment since 2015. He is a founding member of the Young Leaders Council at The Brooklyn Museum, a longtime member of the Montauk Club in Park Slope, and a former basketball coach in the 78th Precinct Youth Council. In his freetime Joe plays a lot of basketball, loves cooking any new meals he stumbles across on Instagram and checking out the seemingly endless options of Brooklyn cultural offerings.